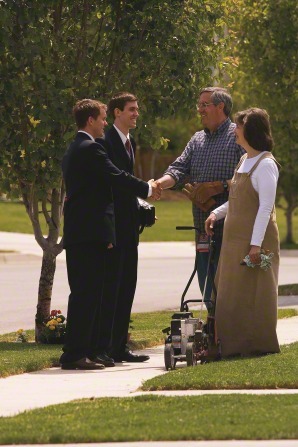 We know that loved ones look forward to hearing from their missionaries every P-Day via email and missionaries enjoy that time to communicate with home. Some parents worry (and sometimes panic) when the anticipated email does not arrive when expected. We want missionaries to communicate with their families and they are encouraged to do so weekly. They have one hour on P-Days to email (usually at a library or family history center) to write their families, enter their weekly numbers into the system, and send a letter to President Dymock. P-Day is normally on Mondays, but sometimes there are conflicts — national holidays, library closures, mission conferences, training meetings, transfers, or an opportunity to attend the temple. In any of these occasions, then their P-Day is moved to another day that week. Please know that we love your missionary and we are concerned with their welfare! If he or she were seriously ill (not just a cold or flu), you would receive a call from President or Sister Dymock. So, if an email doesn’t arrive at the usual time, be patient and know that they are working hard fulfilling their stewardship as a full-time missionary and they have not forgotten you. The anticpated email will arrive!